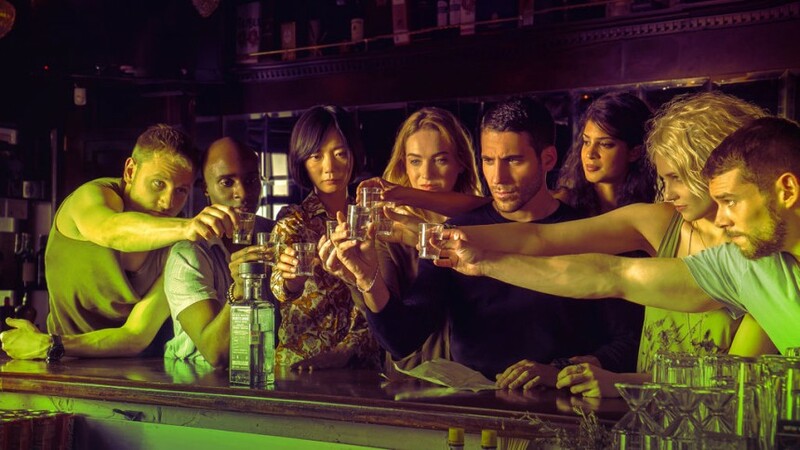 As promised, Sense8 is not over … well, at least, not over yet. The highly anticipated two-hour finale of the sci-fi drama series will air on June 8. The series follows eight strangers across the globe who suddenly find themselves mentally and emotionally connected. Sense8 was cancelled last year for financial reasons. The news was a huge surprise, as Sense8 was one of Netflix’s best productions. Diehard fans went crazy and fought for the survival of the show, trying everything from petitions to Twitter hashtags, hate letters to Netflix and Facebook pages dedicated to the cause. It eventually worked. Lana Wachowski, co-creator of Sense8, announced in a letter to fans that Netflix agreed to renew the show for a two-hour finale to give it a proper ending. “Improbably, unforeseeably, your love has brought Sense8 back to life,” she wrote. This is a first for Netflix. The streaming service has never rescinded a cancellation order. Over the past few years, Netflix has already cancelled around a dozen of its original productions for budget cuts and Sense8 required hefty financial backing. Filmed regularly in eight different countries, directed by the acclaimed Wachowski sisters (Lana and Lilly) with an ambitious plot, the show might have set the bar too high to ever reach its desired audiences. Each episode cost approximately $9 million, and only a massive following could have covered those expenses. Although it did not reach stellar heights in terms of viewers, it still managed to create a strong and very passionate fan community. Indeed, fans even argued, in the petition, against the show’s cancellation stating that it “is not just a show.” Not only did it manage to create a very addictive sci-fi universe of its own, it also communicated a deep-rooted message of minority acceptance. It is one of the only shows which represents, within its main characters, both the LGBTQ community and a highly diverse international background. While some fans still hope for a third season, it seems like June 8 will unfortunately mark the end of Sense8. Season 2 ended with a huge cliff-hanger, and it will be interesting to see how the directors manage to wrap up these dense multi-season stories.